In class we have been learning about different camera angles. 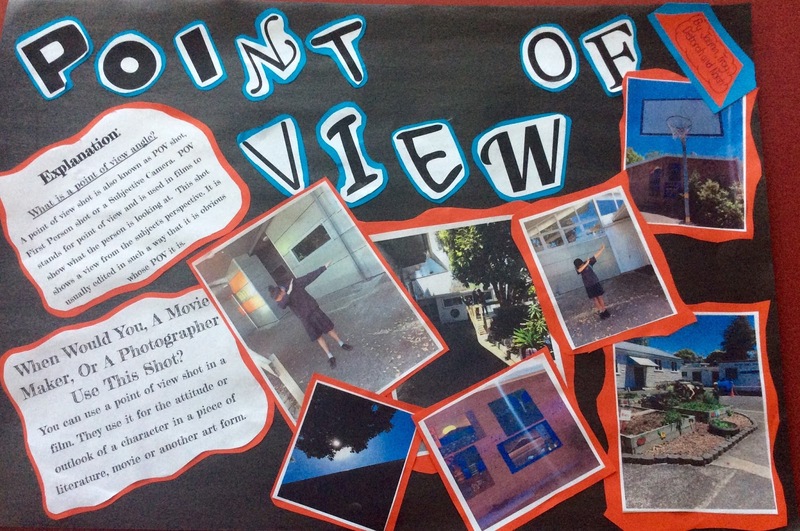 Our group had been assigned to make a poster about the point of view shot. I now know that this shot is used show what the person is looking at. I will remember this work in the future because it tells me about a specific camera angle that is useful. In class we have been learning how to inference. Inference is using clues in the text to work out what the question is asking you. The best part of my learning was working out the questions. I will remember this work in the future because I learnt a lot about it.